WB GROUP’s technologies contributed to the success of the Polish Air Force 100th Anniversary. 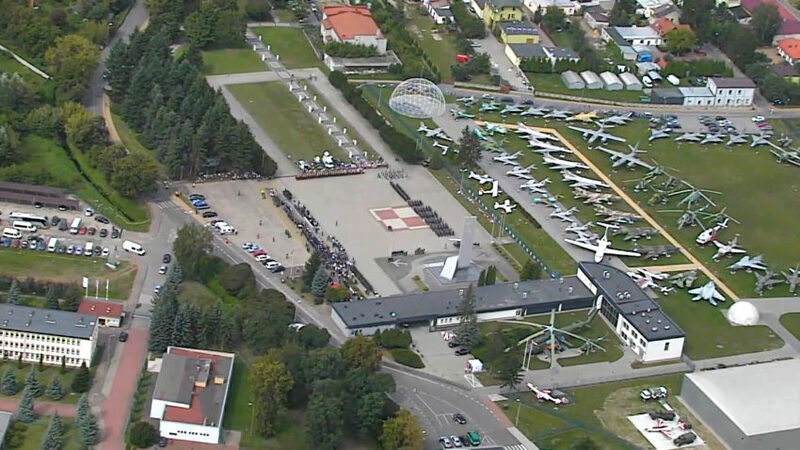 UAV FT-5, designed by Polish engineers in accordance with the “Orlik” programme specifications, has filmed the celebrations of the Polish Air Force 100th Anniversary in Dęblin. The Polish Air Foirce 100th Anniversary celebration took place on August the 24th in Dęblin with the representatives of the highest authorities, including the Minister of National Defence, Mariusz Błaszczak and the officials from the Ministry of National Defence. The unmanned aerial system FT-5, designed by WB GROUP’s engineering team performed two flights from the 41st Training Air Base. The first flight was performed during the military equipment exhibition, in the second one, the UAV was used to live streaming of the official ceremony with the Minister of National Defence for the Polish national television. FT-5 was designed for the “Orlik” programme and is still being upgraded by WB GROUP’s engineering team. FT-5 “The Moose” is a short-range tactical unmanned aerial platform with two high-efficiency combustion engine intended dor the execution of missions requiring reliability and prolonged flight endurance. The FT-5 can be equipped with two optoelectronic payloads providing – just like in Dęblin – a real-time HD image. The UAV also has light, precision-guided armament carrying capacity. FT-5 will be showcased at the Radom International AirShow on August 25-26 2018.